Marysville is gone. I can't believe it! I was worrying about the potential for fire at my own, bush-surrounded house on the day we hit our highest recorded temperature 46.4 Celsius (117 Fahrenheit), and didn't hear about this disaster until Sunday. Marysville was one of my favourite places on earth, but Saturday's fires have almost entirely destroyed it. I've spent so much time there, including nearly every weekend at one time in my life. On Christmas Day, we all went to Jill's mother's house in Marysville for the family gathering and I'm so glad we did. 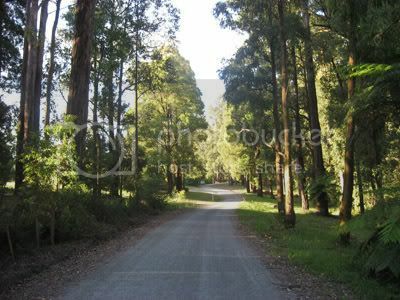 Jill's Mum was away on holiday this last weekend and rang on Saturday evening to see if Marysville was in danger. I didn't think so at that stage, but then the wind - and everything - changed. 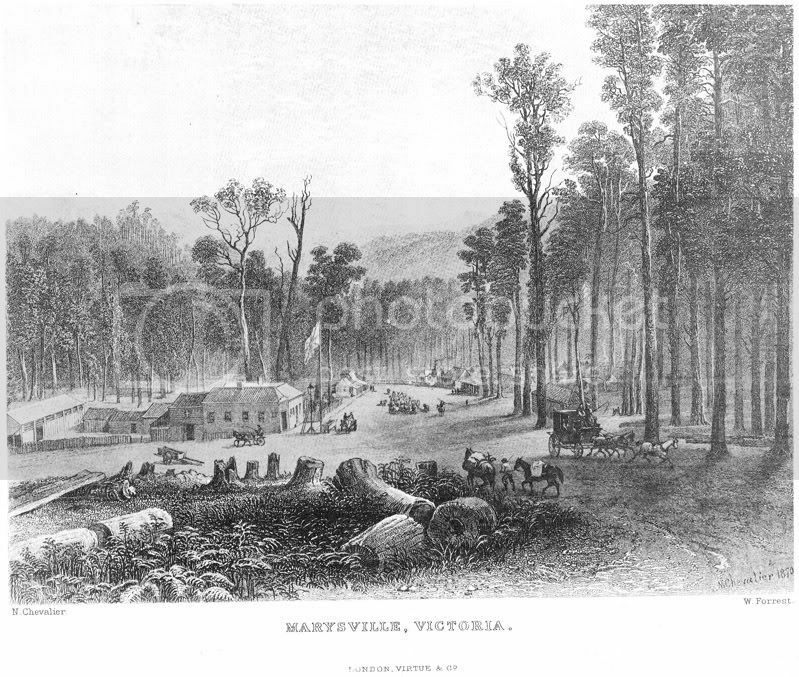 Below is an etching from 1870 that shows the main street and it captures Marysville's gentle, small town nature. I can't think of a way to pay sufficient tribute to this wonderful place, but the following two galleries convey a sense of its recent beauty. I'm so sorry, ian. How is your mother-in-law? Thanks, Aravis, she's holding up pretty well considering. Given how upset the rest of the family is, I can't imagine what it must be like for them :(. Glad to hear that she's alright. As you say, it's unimaginable what they're dealing with right now. My best to them! Paul, it seems like yesterday! 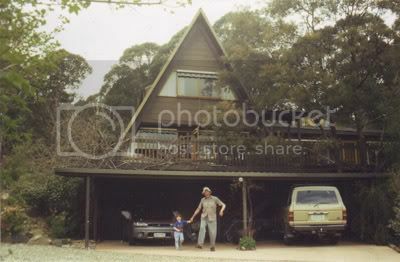 That was a hot Summer as well - remember, Christmas Day at our house? Still, even that wasn't like what we've had lately! The house didn't change much over the years. I had some hope that the A-frame design might have helped something survive, but not that after wildfire - absolutely devastating. Yes the memories are still very fresh in my mind as well. That Christmas was very special to me, in many ways.